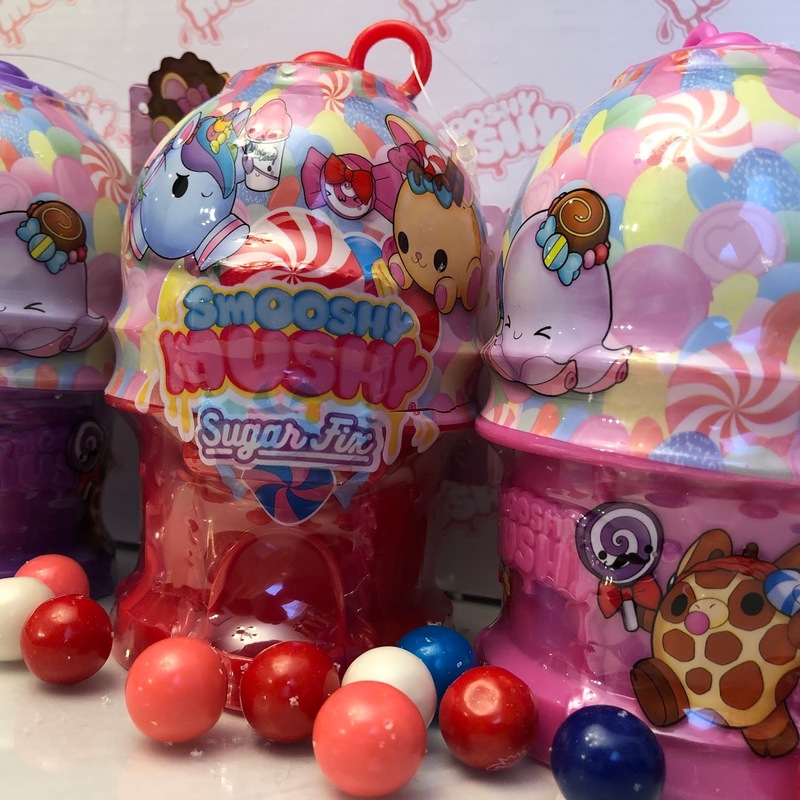 Tubey Toys Review: Video and Toy Review: Smooshy Squad Assemble! 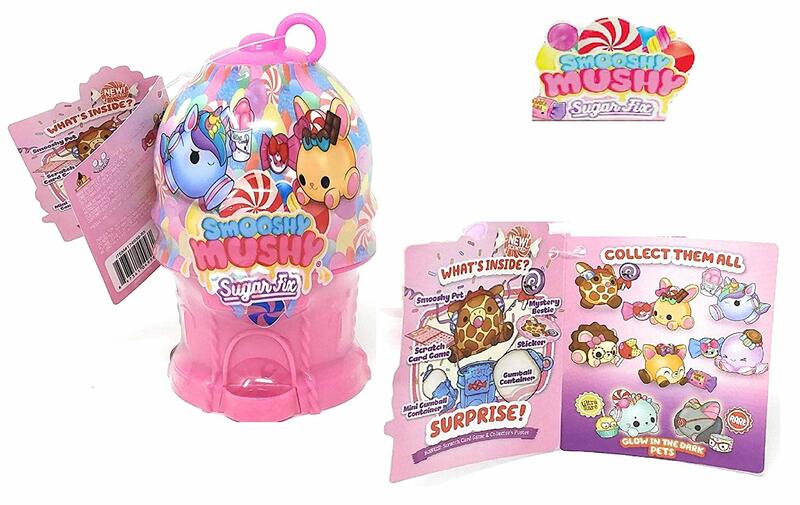 NEW Smooshy Mushy Series 4 & Series 5 Squishies are here! 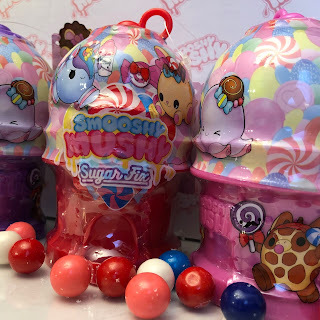 Video and Toy Review: Smooshy Squad Assemble! 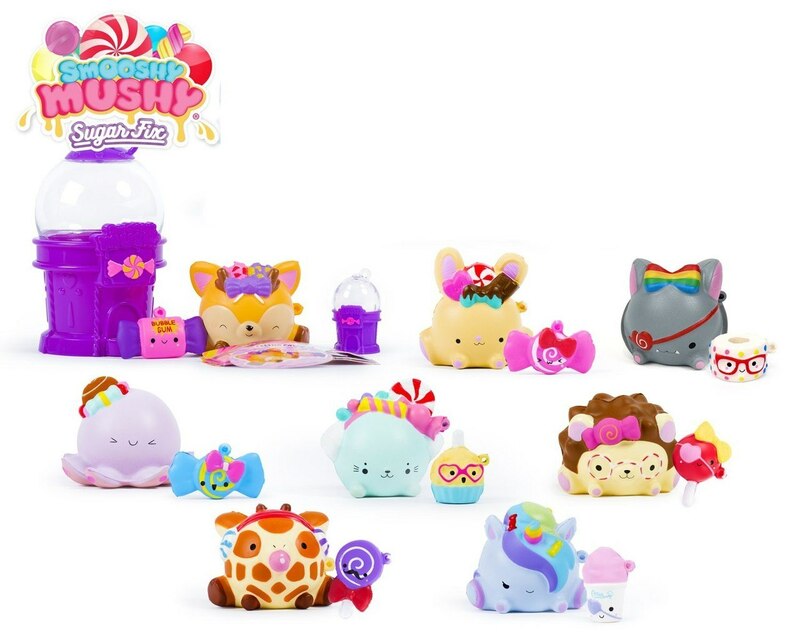 NEW Smooshy Mushy Series 4 & Series 5 Squishies are here! Smooshy Mushy are the leaders in squishin’ squashin’ smooshy squishies! With their adorable line of Pets and Besties that come packaged in the most adorable containers that you’ll want to keep every bit of the package! 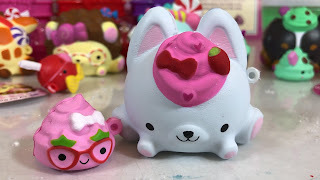 Redwood Ventures makes this adorable line of squishies, and with each series and release the squishies and the storyline just gets cuter and cuter! It all began when trickster pets of Smooshyville get out at night and they raid the refrigerators of Smooshy Industries where they befriended their adorable sweet treat pets from a puff of cream, yummy popsicles, taffy, cotton candy, s’mores, and more! The Smooshy Mushy line is more than enjoyable for all squishy collectors! 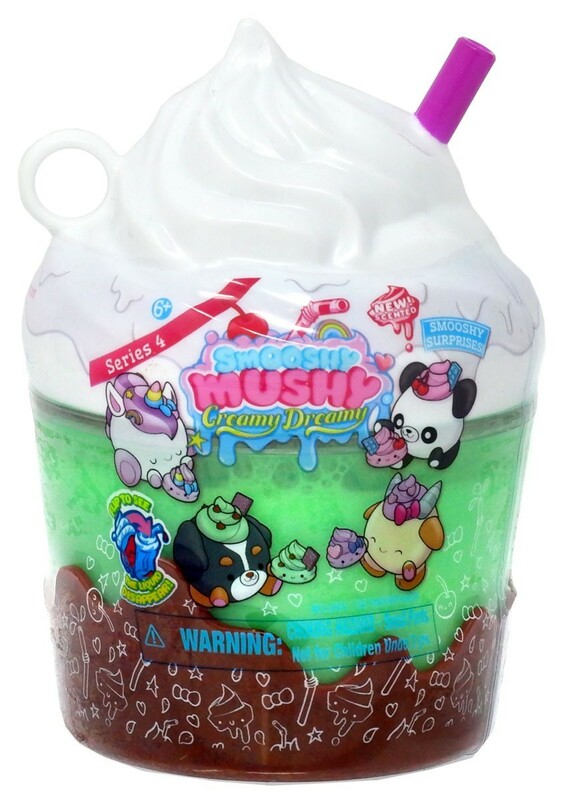 You can find Smooshy Mushy at stores like Target, Walmart, and Amazon - they’re available everywhere for under $8! You can also play with virtual squishies on iOS and Android supported devices, because the My Smooshy Mushy app gives a full experience from Augmented Reality to fun mini games to play with your favorite Series 1 and Series 2 Besties and Pets! Hopefully they will add more Pets and Besties as popularity with this app grows! New for Smooshy Mushy are Series 4 Creamy Dreamy and Series 5 Candy Fix where the packaging is just as adorable as the squishies! Series 4 Creamy Dreamy is a collection of whipped cream topped milkshakes with actual “milk” inside the container - it disappears and reappears when turned over like magic! Series 4 Creamy Dreamy includes the chance to get one of eight Besties and one Pet — both so squishy, and very slow rising! You also get a mini version of your container that has your ball chains inside, these chains can attach to your squishy so you can attach them to a backpack, a handbag, or wear them as squishy jewelry! 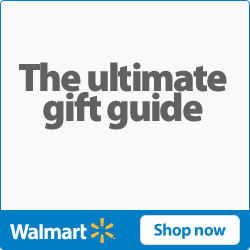 You also get a full color collector’s guide with a fun mini game, and a colorful sticker! 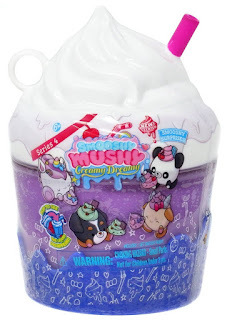 Now there are new yummy scents to go along with the new Besties and Pets added to Smooshyville like Ava Arctic Fox, Portia Polar Bear, Ronnie Rainbowcorn, and more! 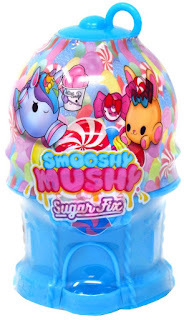 Series 5 Sugar Fix is my favorite line of Smooshy Mushy so far - I say this every single series, but it’s true - Series 5 Sugar Fix is a can’t miss series for all members of the #SmooshySquad. 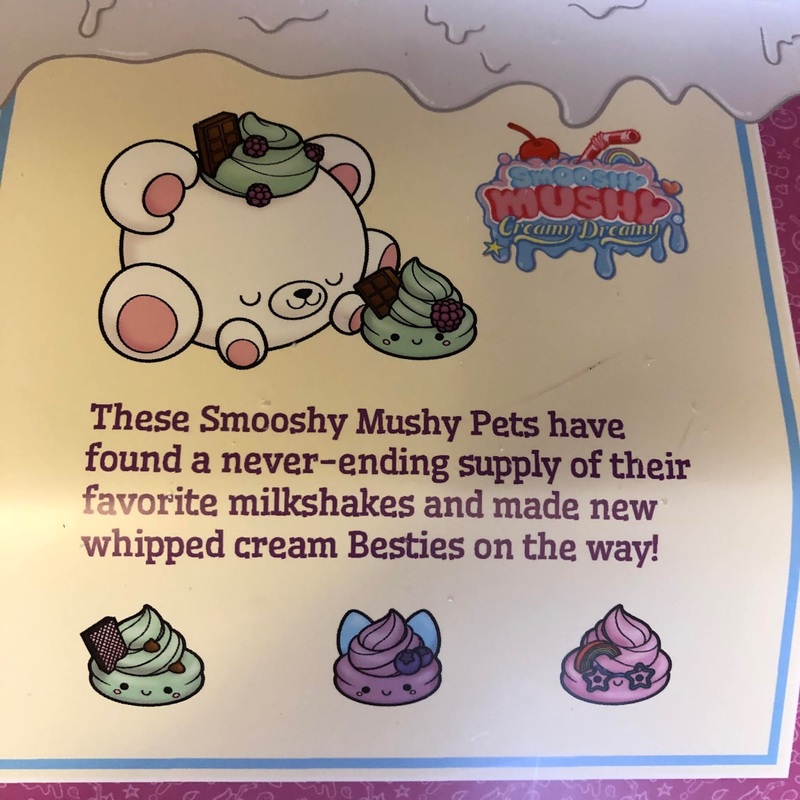 There are eight Besties and Pets to collect in all, and there are two hard to find ones that are totally new for Smooshy Mushy! The Ultra Rare Selina Seal and Rare Belinda Bat both glow in the dark! I have reviewed glow in the dark squishies before and the Smooshy Mushy ones are the best by far. 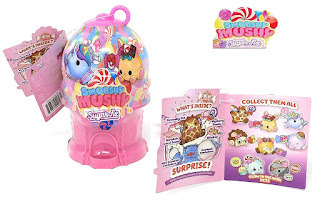 Along with this collection, you get the most amazing gumball machine shaped container, a mini gumball machine with two colorful ball chains, a full color collectors guide, a scratch off BINGO game that at the end of each game comes with a special code to add to the Smooshy Mushy app! 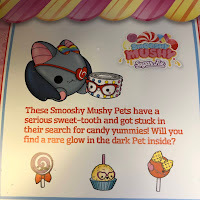 What do you think of the new Smooshy Mushy series four and five? Let us know in the comments below! Be sure to download the new My Smooshy Mushy app for an even more interactive experience! My 4 yr old grandaughter would love these!